This past week was a big one for my family. If you follow me on Instagram, I shared the big news – we got a PUPPY!! It took my husband a year to convince me to get a dog and I finally caved in and said yes at Christmas. It’s been six months of looking for a breeder and finding a puppy, but we finally picked up our newest family member this past Wednesday. It’s been a whirlwind the past few days between potty training, crate training, and still trying my best to live a “normal” life. If you have any puppy tips, I’d love to hear them! This week I’m sharing a bunch of great recipes for Father’s day! 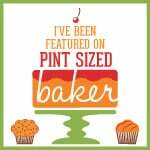 So, these may be very stereotypical dad recipes, but it’s also what my husband likes so I figure that the rest of the guys out there would love them as well. These recipes are also great all summer long for family BBQ’s and weekend potluck parties with the neighbors. 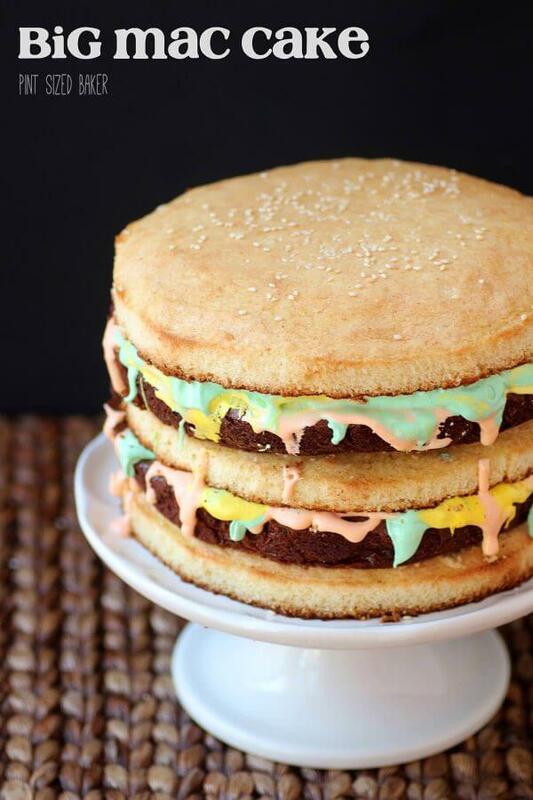 Each Father’s Day I make my over-the-top Big Mac Cake! 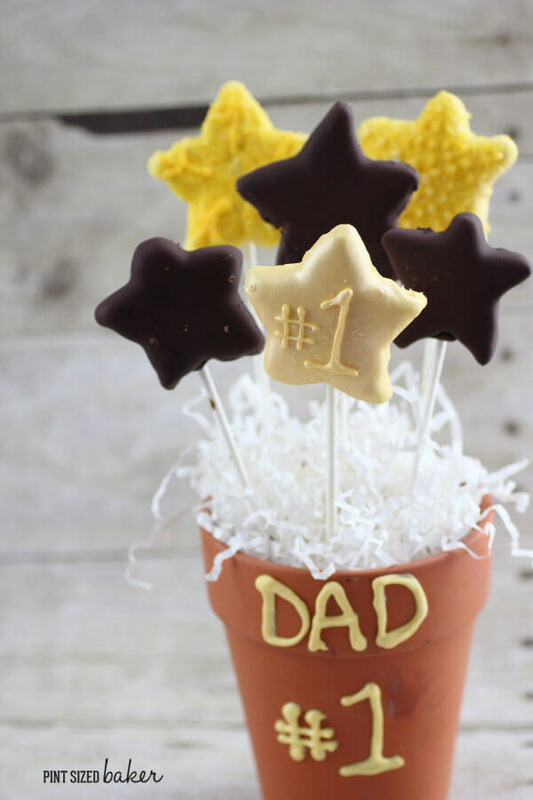 You can have the kids make dad some Super Star treats. 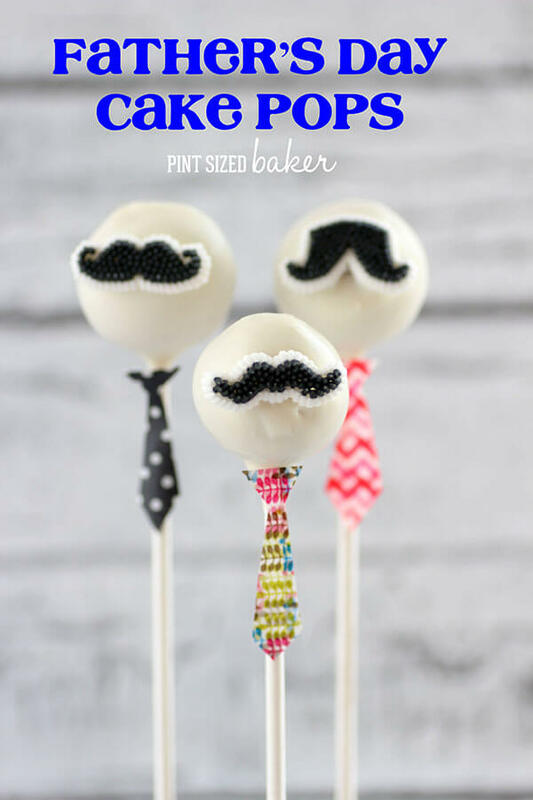 And of course, the popular Mustache Cake Pops that are so fun to give to your favorite whiskered dude! And if you really don’t want to check out Instagram for the photos of Beauregard the Great Pyrenees, here’s a few cute ones! Thanks so much to everyone for linking up each week! I’m always excited to see what everyone has been up to. Next week I would love to see some SHERBET and SORBET recipes! Fresh and fruity sorbets are perfect for the summer months. Gimme some awesome recipes for me to feature next week. Thank you for including my recipe for Deviled Eggs with these other yummy recipes for Father’s Day! I’m a sucker for easy recipes! Don’t forget to check your archives for any sorbet or sherbet recipes for a chance to be featured next week! Don’t forget to check your archives for any sorbet or sherbet recipes for a chance to be featured next week! Thanks for stopping by and sharing those awesome recipes! Thank you so much for featuring my Chicago Dogs recipe! So many delicious looking recipes for Father’s Day! I get so hungry every time I do these posts! Don’t forget to check your archives for any sorbet or sherbet recipes for a chance to be featured next week! Your puppy is absolutely precious!! I’m loving all of the Father’s Day ideas you have this week. Thanks so much for hosting the party! Thanks. We love him so much!! Don’t forget to check your archives for any sorbet or sherbet recipes for a chance to be featured next week!